The hustle and bustle of Orchard Road can be very overwhelming, especially during peak hour. Yet, the lobby of Pan Pacific Serviced Suites Orchard, Singapore, located right in the heart of the bustling district, is like a portal to an oasis. Stepping in, you’ll be led into a stunning hallway flanked by an indoor waterfall feature and walls adorned with curated artwork — and a sense of calm overwhelms you. The perfect combination of a hotel room and apartment, the serviced suites are great for extended living. Each suite is well-appointed with modern amenities such as a Bose home theatre system, a flat-screen LCD/HD TV with multi cable channels, a Herman Miller ergonomic chair, an ensuite bathroom with rain shower and a kitchen fully equipped with appliances from brands like Dietrich, Bosch and WMF. The crown jewels are the one- or two-bedroom penthouse suites, which overlooks the city skyline. 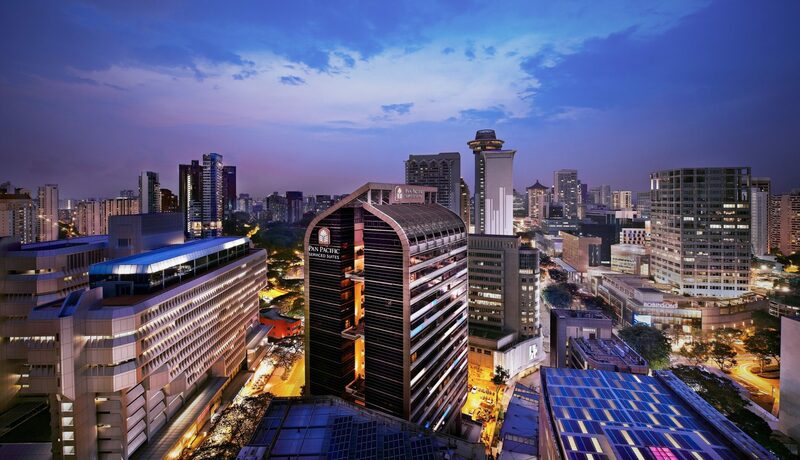 The biggest draw of Pan Pacific Serviced Suites Orchard is its location. Located in the heart of Somerset, the serviced apartments are within walking distance to various malls, restaurants and bars located along Orchard Road — so residents and guests are spoiled with a myriad of options. 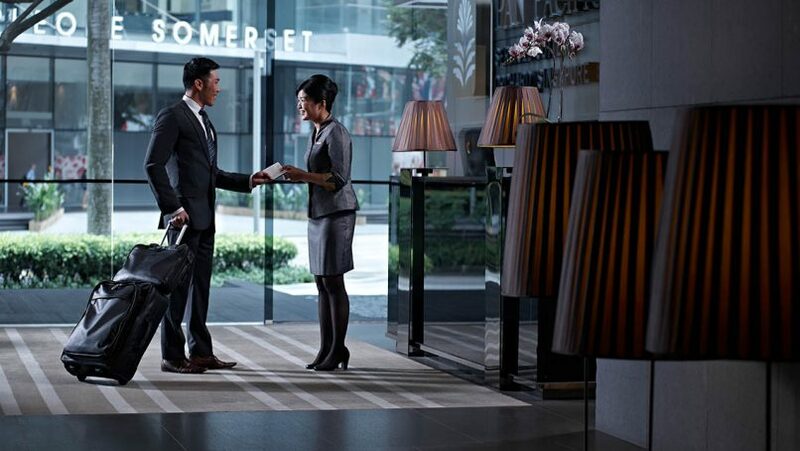 Additionally, the serviced apartments are also well connected to the CBD or the Lion City’s main attractions from Somerset MRT station. Facilities at Pan Pacific Serviced Suites Orchard include a fitness centre, an iodized swimming pool (complete with Hydro-Rider Aqua Fitness Equipment), round-the-clock personal assistant, daily housekeeping service, a meeting room, a resident’s lounge with OSIM chairs and library of books, and an outdoor sky garden with a view of the city below. 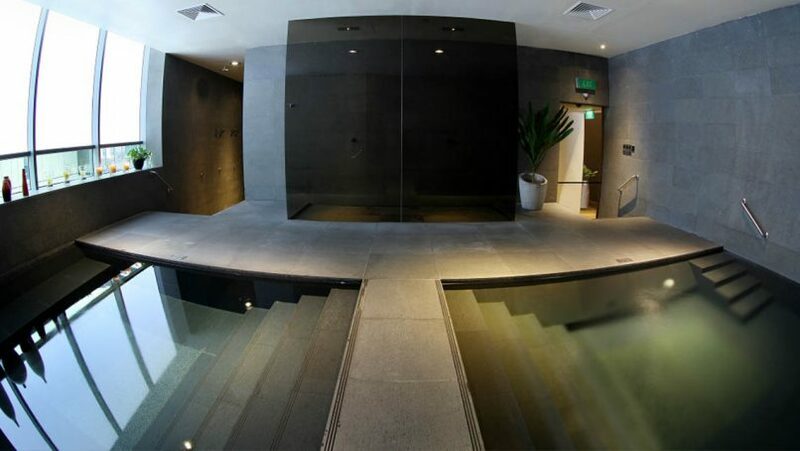 The highlight of the wellness-focused property is its own hydro-therapeutic spa, the first of its kind offered in a luxury serviced apartments. There is also a golf putting green located outside the Pacific Lounge. Additionally, guests and residents can also indulge in daily breakfast at the Pacific Lounge, which offers a large buffet spread and made-to-order dishes, including signatures such as Egg Benedict and Belgian Waffles. To further illustrate everything Pan Pacific Serviced Suites Orchard has to offer, we follow founder and managing director of Mercury Marketing & Communications, Tjin Lee, as she unwinds in an oasis of wellness in the heart of Orchard. Visit www.panpacific.com for bookings and more information.